San Francisco has always been a leader in pushing environmental policies, but we know we need to go further. The President and his administration are doing everything they can to roll back decades of work to reduce our carbon emissions, and keep our air clean and our water safe. With the U.N. Intergovernmental Panel on Climate Change telling us we only have 12 years to drastically cut carbon emissions or face catastrophic consequences, we do not have time to wait. We must act now. San Francisco has cut our greenhouse gas emissions by 36% since 1990, while growing our economy by 166% and increasing our population by 22%. We have shown that a thriving economy and a clean planet are not at odds with each other; in fact, they can go hand-in-hand. 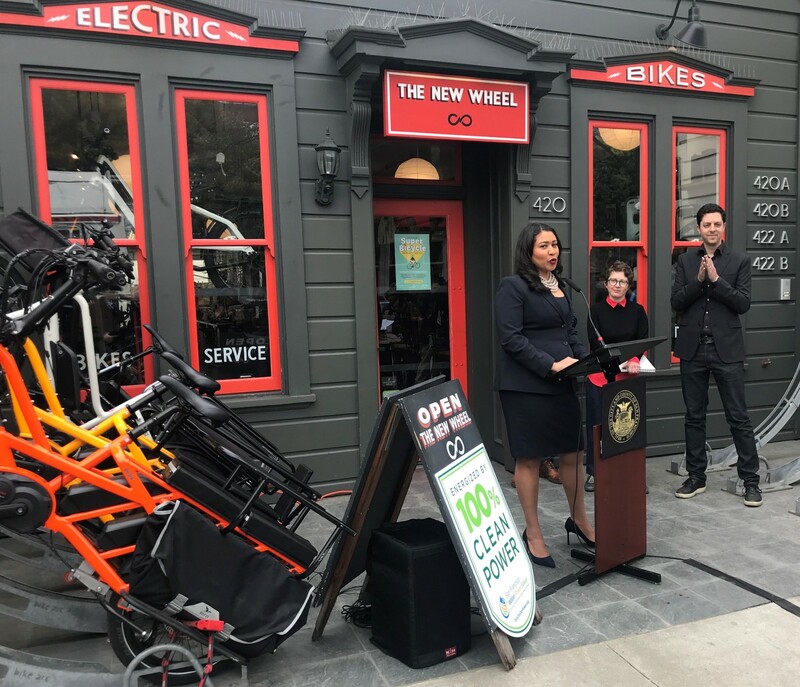 As we celebrate the beginning of Earth Month, I am today launching San Francisco’s inaugural Month of Climate Action and announcing the largest and last major enrollment of CleanPowerSF, the City’s community choice energy program that offers residents and businesses renewable energy options. CleanPowerSF is essential to helping the City meet its ambitious climate action goals. Prior to CleanPowerSF, electricity accounted for 29% of the City’s greenhouse gas emissions. Now, that total has dropped to 11% and CleanPowerSF has become one of the significant drivers of emission reductions across the City. It is set to enroll 250,000 customer accounts by the end of April. When the latest enrollment period is finished, approximately 360,000 businesses and residents will be served by the program. Residents and businesses are automatically enrolled into CleanPowerSF’s Green program, which is comprised of 48% renewable energy sources. For a few extra dollars a month, customers can “opt-up” to the SuperGreen program, which serves 100% renewable energy. Currently, CleanPowerSF has a 97% retention rate. CleanPowerSF’s latest enrollment period, combined with the greenhouse gas-free hydroelectricity provided by the Hetch Hetchy Regional Power System and the San Francisco Public Utilities Commission’s growing public power programs, will now provide 80% of the electricity in San Francisco. The CleanPowerSF enrollment period is just one of several events planned over the next several weeks to celebrate San Francisco’s Month of Climate Action. A centralized database launched by the Department of the Environment will recognize engaged organizations, make participation more accessible to the public, and capture the incredible impact of the wide range of environmental service activities happening in April. With events ranging from Walk to Work Day, to Family Bike Workshops, to volunteering at one of San Francisco’s parks, there’s something for everyone. 1. Zero Waste: By 2030, San Francisco and 23 other cities commit to reduce municipal waste generation by 15% and cut landfill disposal in half. 2. Decarbonize buildings: By 2030, all new construction in San Francisco will be running on 100% renewable energy, and by 2050, all buildings in San Francisco will be net-zero for carbon emissions. 3. 100% Renewable Energy Citywide and joining the Sierra Club’s 100% renewable and clean energy pledge. 4. Expanding our green bonds offering to provide financing for sustainable infrastructure. We know that addressing climate change is going to require a number of changes to the way we live, the ways we travel, and the ways we consume. This Earth Month, let’s put that to action.